OSSETT UNITED are looking ahead to the biggest week in their short history as they prepare for not one but two cup finals. The men’s team play Guiseley in the West Riding County Cup final at Ingfield on Tuesday night (April 9, kick-off 7.45pm), three days after a crucial league clash in their play-off race when they host Tadcaster Albion (Saturday, kick-off 3pm). But they’re not the only side aiming for silverware over the coming days, with the women’s team in the North East Women’s League Cup final against Durham Cestria at Storking Lane, Wilberfoss (Sunday, kick-off 2pm). United chief executive Phil Smith says that the atmosphere at the club, which was only formed last year from the merger of Ossett Albion and Ossett Town, is special. “There’s a great buzz at the club at the moment, not just from where we are in the league or what we’re doing in the cup but just in general,” he said. Ossett have put great stock in their County Cup run, and were rewarded with a superb 4-1 over National League side FC Halifax Town in the last four to reach the final. They are fighting on two fronts with a big league tie tomorrow against Tadcaster, who sit just outside of the play-off places, only three points behind United, while Guiseley are battling against relegation in National League North. “If we beat them on Saturday it puts a nice gap between us in the play-offs and just outside it, which is a target on Saturday,” said Smith. “And then most of us are looking past the weekend already to that big game on Tuesday. County Cup finals are usually played at the West Riding FA’s headquarters at Fleet Lane, but with such large demand expected the two clubs decided on who should host the match in the fairest possible way. Smith explained: “We’ve both got more fans individually than Fleet Lane could hold, so it actually went down to a coin toss! “The chairman tossed his lucky coin back in his office on FaceTime and he landed his on tails. We flipped the coin at headquarters and it landed on tails! “We’ve sold 750 tickets and we’re expecting at least another 100 to turn up on the night. “They’ve only sold about 80 tickets at Guiseley though, so they’re not getting much response behind it. While the cup final is the talk of the town, it’s the job of manager Andy Welsh to keep the players focused on their league game first. “In terms of the playing side, I’ve not given it any thought at all at the minute,” he said of the final. He also believes that having home advantage will make a big difference. “The work that we’ve done to gather interest from our fans will make it like a home fixture. We really want people to come out and support us over the next three or four weeks, we need everyone behind us,” he said. Before the men’s side battle it out for a trophy, the women’s side will have the chance to show them how it’s done when they play Durham for the League Cup. They won their league, losing just once in the whole North East Division One South campaign, and now have their eyes set on the double. Smith says that the women’s teams are his favourite story from the club so far. “They won the league before Christmas, they’re in the cup final. They’ve played a couple of teams far higher up the pyramid than they are,” he said. United Ladies were formed from the old Albion women’s side, and have a ground of their own in Albion’s former home, Dimple Wells. 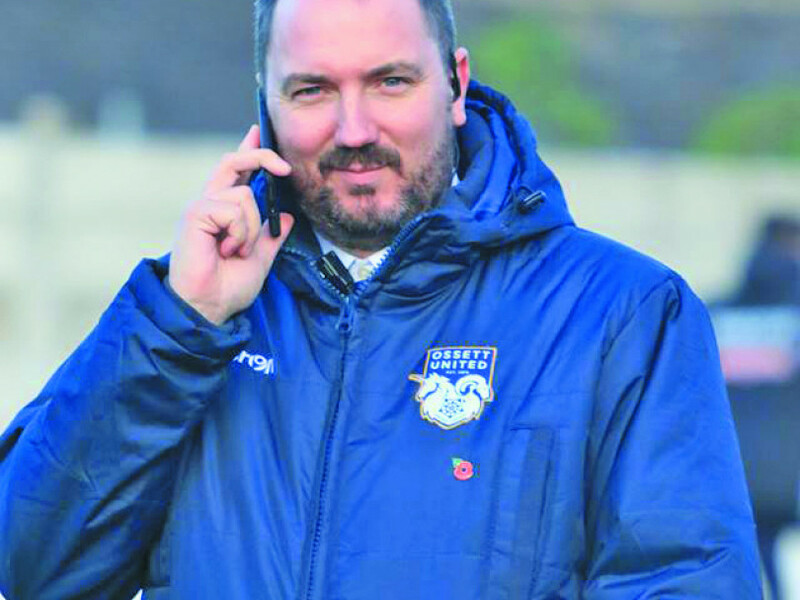 Smith said: “It generated a lot of interest, purely because there are only two women’s football teams in the entire county with their own stadium that’s just theirs. One is Manchester City, the other is us.